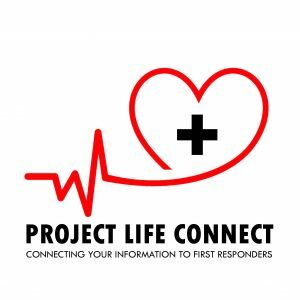 NORTH SHELBY – Project Life Connect, which is designed to provide critical information for first responders during an emergency situation at residents’ homes, was launched on Tuesday, Nov. 28. The project was announced by the Middle Alabama Area Agency on Aging during a Senior Leadership Academy session at the Heardmont Senior Center. “There’s really a great need to have something in the home that could be lifesaving,” M4A Development and Marketing Director Robyn James said. Senior Leadership Academy is a 10-week program for seniors to learn about a variety of topics that impact their age group. Shelby County Sheriff’s Office Lt. Cody Sumners is leading the effort. Another deputy, Lt. Jeff Sciascia, talked at the luncheon about Project Lifesaver, which uses radio transmitters and trackers to locate missing people. Project Lifesaver transmitters can be worn by residents in danger of wandering such as those with dementia or younger people with autism. Sciascia said the SCSO has been able to offer the program free of charge to some residents even though costs associated with it include $1,500 per tracker, $250 per transmitter and more. Deputies are assigned to residents who are part of the program and visit their homes monthly to change batteries in the transmitters. North Shelby Fire District Chief Buddy Tyler talked to those in attendance about the Yellow Dot program. Yellow Dot is a method of storing vital information for first responders in the glove compartment of a vehicle to be used in the event of a wreck. The presence of the information is signaled by placing a Yellow Dot sticker on the rear windshield. M4A used the opportunity of the luncheon to announce Project Life Connect. In her presentation, James said the idea was based on the Yellow Dot Program, which provides important health information to first responders in vehicles, but maintains the information in residents’ homes. About 5,000 vinyl pouches have been created with magnetic strips on the back so that the information can be posted conspicuously on a refrigerator. James asked the about 50 seniors in attendance to tell their friends and loved ones about the program. The Project Life Connect pouches are available by calling M4A at 670-5770. M4A is also seeking financial partners for the project. Lunch was provided by ExpectCare Hospice.